Once picked, the grapes are gently pressed in a pneumatic press. The juice is gathered in a transfer tank under inert gas and then goes through a settling tank that eliminates the heaviest elements and clears it a first time. The next day the wine is transferred into a thermo-regulated fermenting tank – at 21 to 22°C – that preserves the must aromas and favours the growth of yeasts emanating mainly from the grapes. Then each tank is muted according to the desired levels of alcohol, liquor, acidity and pH. In the spring, a pre-filtration and adding of finings generate a second clarification stage. According to different batches, the ageing period may range from 1 to 2 years. The final blending from different batches varies with each yield. It is determined through tasting. Settling: separating wine residues from must (clear juice). Residues: solid particles from the berries, skins and pips that are suspended in the wine must. Yeast: microorganisms that turn sugar into alcohol during the fermentation process. Yeasting: yeasts are added into the wine must in order to trigger fermentation. Fermentation: process where yeast turns sugar into alcohol. 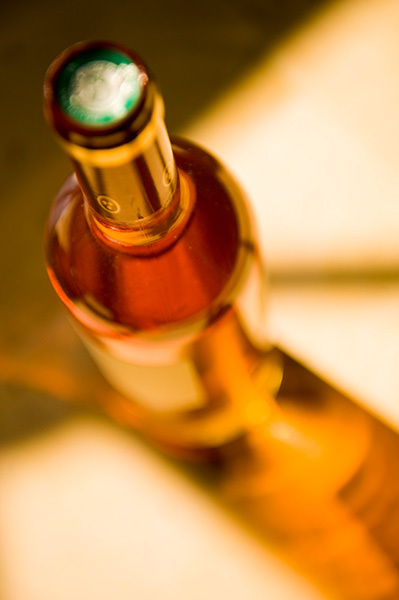 Muting: process that stops the fermentation of a wine. A sulphurous solution is added in order to maintain the required balance between the alcohol level and residual sugars. 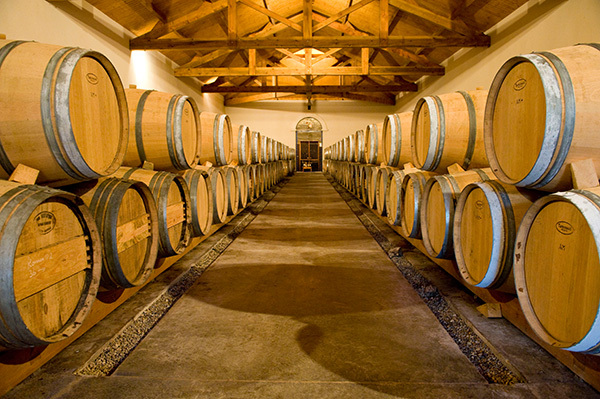 Finings: coagulant substances such as Bentonite (a type of clay that stabilizes wine proteins) are used to improve clarity near completion of the wine ageing process.